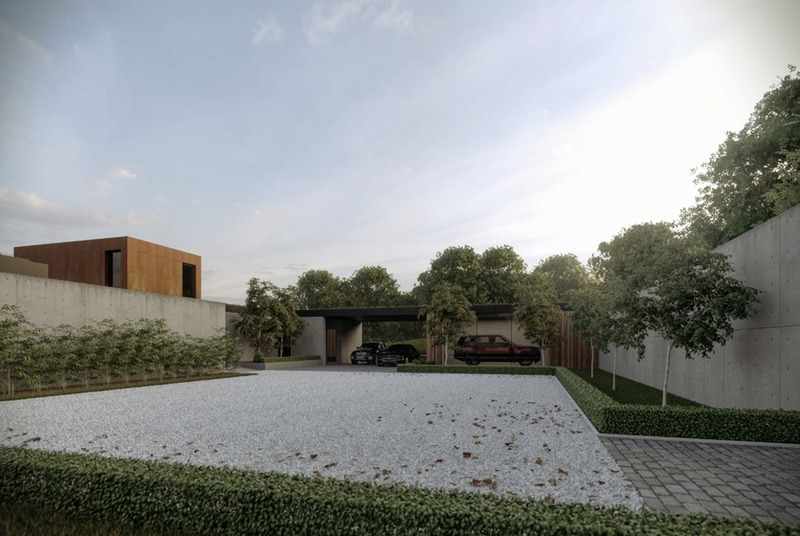 The accommodation is arranged in an L-shaped plan creating a sunken entrance courtyard. The garaging and fully enclosed walled garden are positioned towards north and accessed via a curved tunnel. The main body of the house faces south availing of the panoramic views towards the lough. 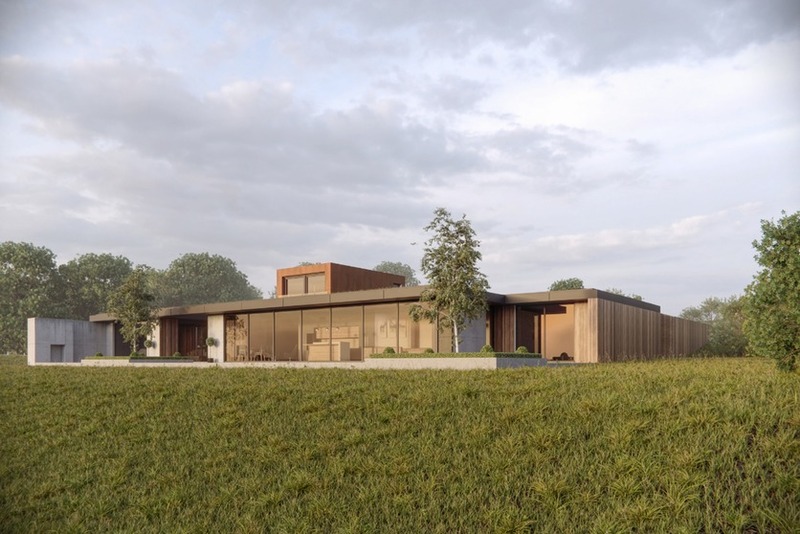 Landscaping towards the front of the house includes an infinity lawn which masks the framed foreground focusing views directly out to the water. This view is held back by the built form on approach and only reveals itself on entering the front door. The fragmented spatial layout creates a series of different sized open, enclosed and semi-enclosed spaces creating constant connection with the landscape. 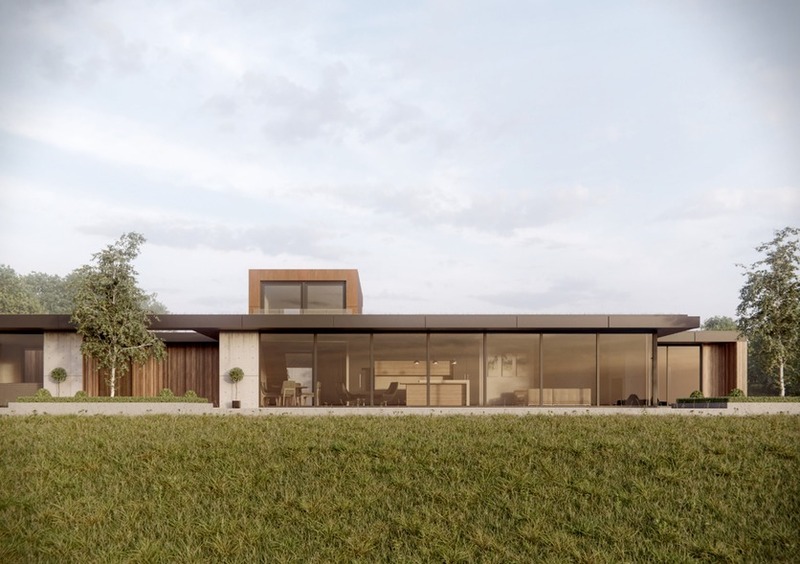 An entirely glazed wall faces the water whilst large frameless glass openings in the grass roof open the house up to the sky. 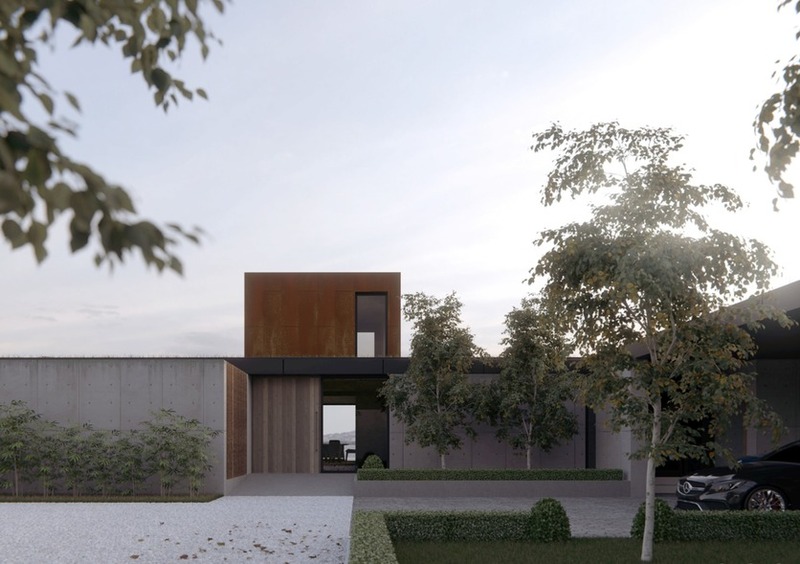 A corten steel box sits on top of the predominantly single storey house which creates a double height entrance hall and is home to an intimate reading space with elevated views in all directions. The bedrooms are separated from the living spaces by circulation and storage spine, a covered outdoor room with sunken hot tub disconnects the casual open plan space from the evening lounge. Restrained yet robust materials including exposed concrete, timber, glass and corten steel articulate this pavilion-like structure.